As a Graphic Designer for Keysight, I was put to many tasks that contributed to the brands global re-branding efforts. Take a peek at some of my designs for the company which include a new brand guideline book, event logos, billboards for San Jose Intl. Airport/Stuttgart Intl., fresh new brand icons, and event signage. 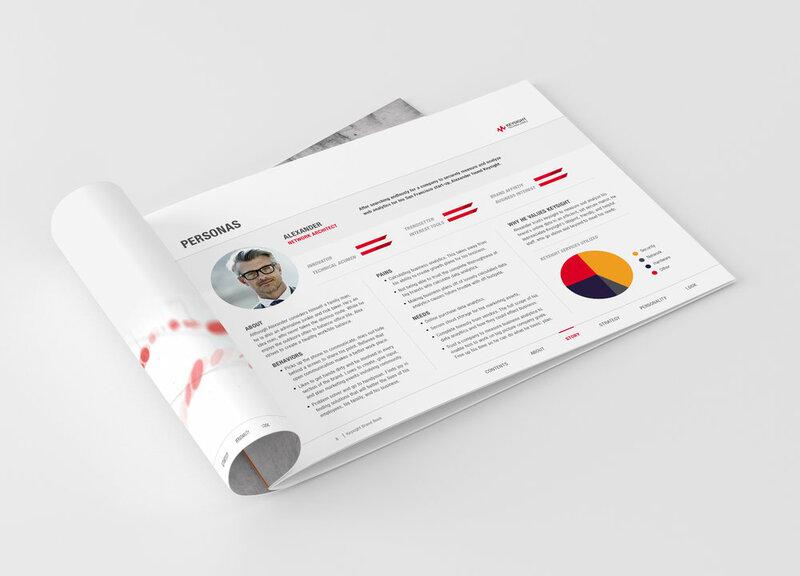 When designing Keysight's Brand Book, my aim was to showcase the brands technological innovation with bold typography, dynamic layouts, and inspiring imagery. Shown above is a sample of what is included in the book. Billboards for San Jose International Airport and Stuttgart International airport. 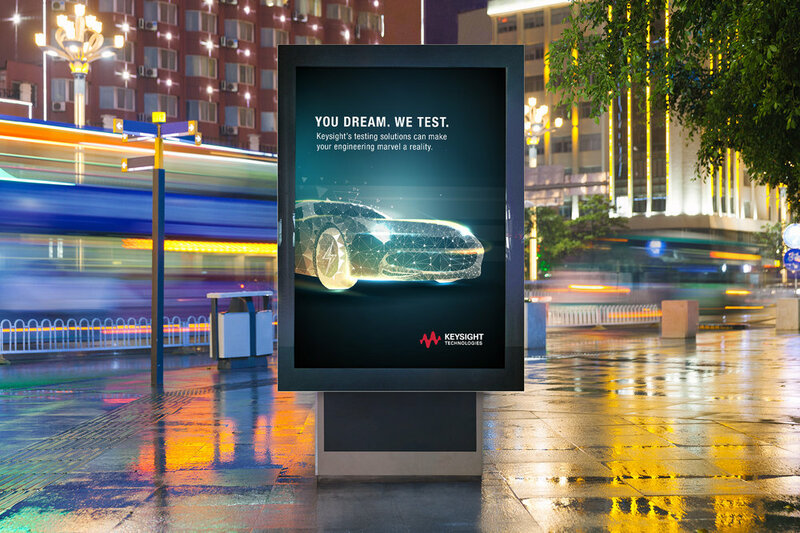 Our goal was to showcase the wonder of Keysight's autonomous driving software through technical illustration and attention grabbing typography. *Billboards shown above are prototypes for visualization purposes. 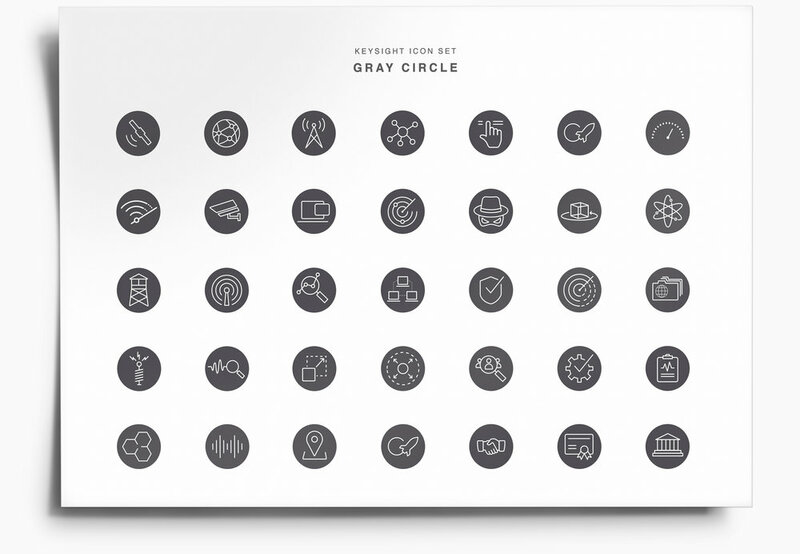 When creating Keysight's new icon set, my goal was to create a sleek, simple, and easily scaleable set to represent Keysight's various products and services. 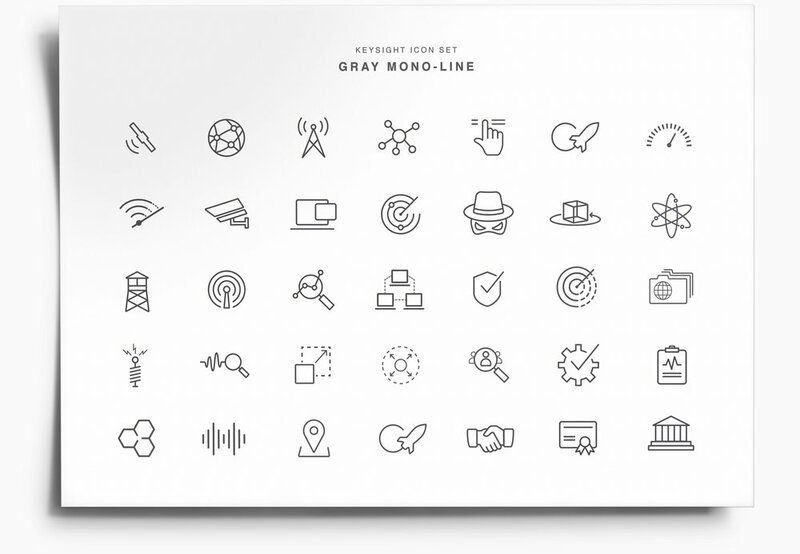 The end result consists of four different icon styles that the creative team implements when creating designs, presentations, or web pages. Keysight's President's Club is an exclusive team of the brands top sales people. When creating the new logo for the club, I aimed to represent Keysight at its core with dynamic motion and an elite feel.